For the 8th year in a row, Elizabethtown, Kentucky went back in time to the 1950s and 1960s as classic cars and those that love them converged for Cruisin' the Heartland. The Swope Family of Dealerships was proud to be a primary sponsor of this event again, combining our love of our local community with our passion for cars. The weekend included something for everyone, especially those who love collector cars. The festivities began with tours of the Swope Cars of Yesteryear Museum. This museum, which houses antique cars of all types and ages, is free to all. You can see everything from a 1924 Model T Ford Huckster to a pink 1956 Thunderbird--and just about anything you can imagine in-between. A car cruise and concert followed, giving car collectors the chance to enter their beloved cars into the Cruisin' the Heartland car show as well. Saturday dawned with even more fun, including a wide variety of vendors, a swap meet, a beer tent, hourly giveaways, and a "Fun with Mater" car display. A pedal car parade for kids followed, as did a Marilyn Monroe lookalike contest and a concert featuring The Devonshires at The Historic State Theater. The Swope Family was especially excited for the winner of the Marilyn Monroe contest, Savanaha Campbell McGrew. Shedidn't just get the honor of being named Marilyn's lookalike. The Swope Family of Dealerships also gave Savanaha a photo shoot with Clagett Photography. Clagett Photography, located in historic downtown Elizabethtown, is the only local studio with a Certified Professional Photographer (CPP) on staff and we were proud to partner with them to capture this event! 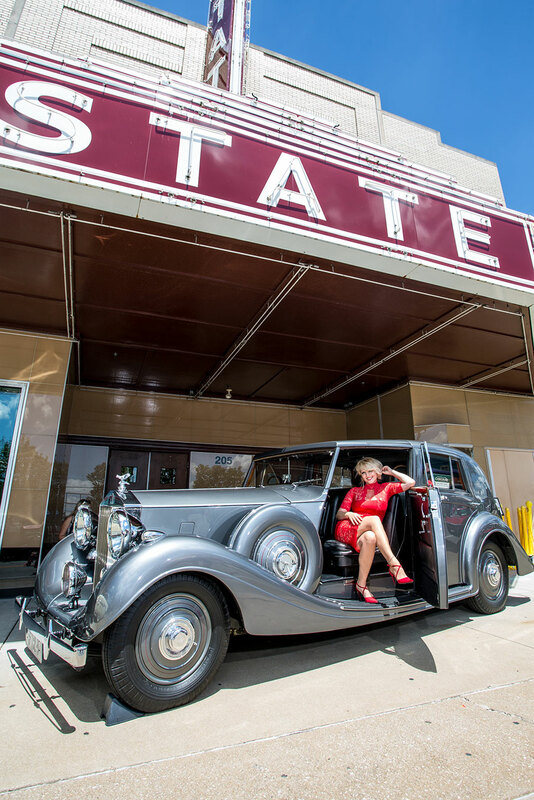 The shoot took place in front of The Historic State Theater and with an incredible silver 1939 Rolls Royce. The car itself had remained with the family that purchased it in 1939 until the Swope Museum acquired it, complete with its harrowing history of escaping Nazi Germany. The history of this vehicle perfectly matches the historic theater and yesteryear vibe of the Cruisin' the Heartland event. The images are stunning and we are so happy to be able to have done this for Savanaha!